In two dimensional grids of LEDs, wiring can become excessive and complex. If two wires were to be attached to each LED, it would soon become unmanageable. However, with the use of multiplexing in an LED matrix, the problem is significantly reduced. Instead or there being two connections for every LED, there can instead only have to be one connection for every row, and one connection for every column. In a 8×8 grid this reduces the number of connections from 128, to 16. 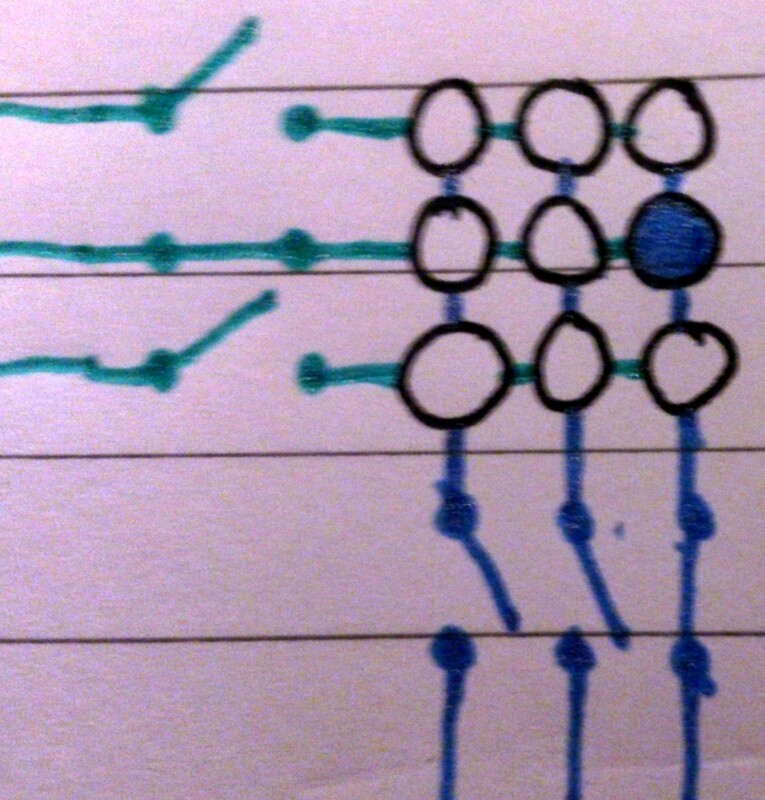 Multiplexing can be achieved by attaching the anodes of all of the adjacent LEDs in each row together, and attaching the cathodes of all of the adjacent LEDs in each column together. Once this has been done, a specific LED can be turned on by allowing current to flow in through the LEDs row and out through its column. In practice, each row applies a current sequentially (one after each other) so fast that it is indisguishable by the human eye. Whilst each row is tuned on, the LEDs which are to be turned on allow current to flow out through their individual column. Because of the persistence of vision every row appears to be turned on at the same time. This entry was posted in Diodes, electronics, Persistence of vision and tagged Electronics, multiplexing, Persistence of vision, thelectronics. Bookmark the permalink.